Where Portuguese egg tarts (pastel de nata) all began, Pasteis de Belem (Pastries of Belem), Lisbon Portgual. It began in the early 19th century when the monks of the nearby monastery, Jerónimos Monastery (Mosteiro dos Jerónimos) were expelled and forced to shut down due to the liberal revolution in 1820. 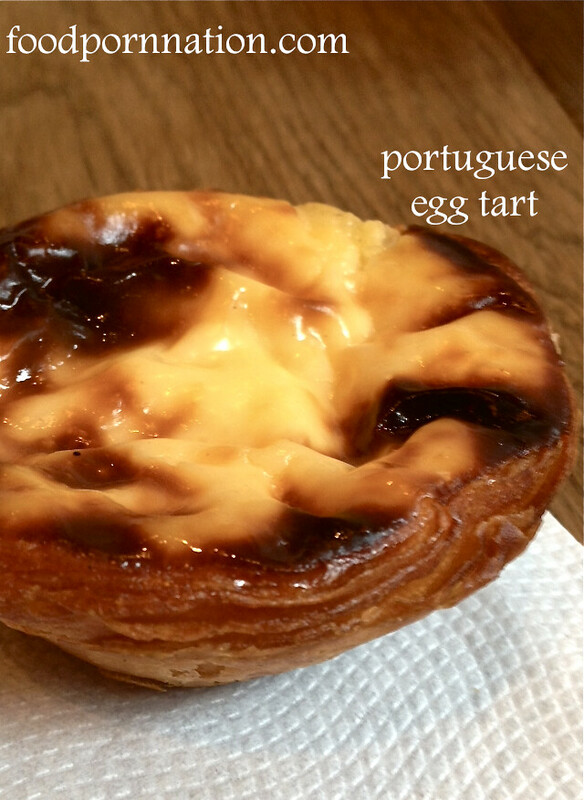 The monks began selling Portuguese egg tarts to secure more revenue and over time this grew rapidly in popularity. The recipe was later passed on to the nearby sugar refinery, whose owners opened up Pasteis de Belem in 1837. To this day, the owners continue to savour and prepare the original recipe from this time honoured tradition. Expect to see long queues winding out the door for this much loved pastry. Locals love it and international tourists have to have it. If you want to avoid sitting around and waiting. Just get this little babies to go. I took these to Starbucks and had them there. 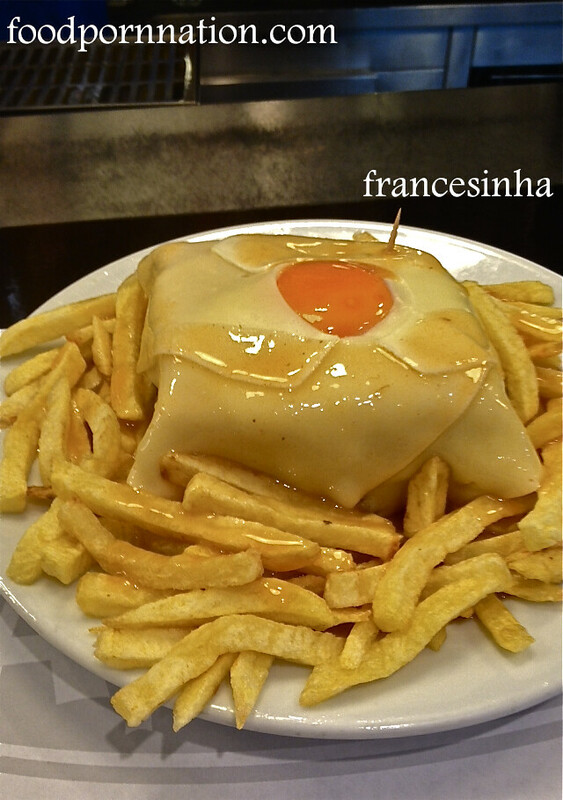 Francesinha pronounced Fran-ze-zin-ya (little Frenchie) is a local speciality in Porto. Made from bread, ham, sausages, pork and steak. If that wasn’t enough, this protein layered monstrosity is stacked into a sandwich and then topped with a pan fried egg, cheese, fries and a spicy beer sauce. Phew… that’s enough to make you sweat. Locals in Porto love and I mean LOVE their francesinha. The people of Porto even get together with friends to have francesinha night outs at their favourite spot but this will often end up with arguments on where they should actually go to get it. On a good day, you can expect a heated debate over the best francesinha and don’t expect any two opinions to be alike. Locals will often argue and argue on who does it best. Your favourite may not necessarily be their favourite. In fact, they probably despise where you get your francesinha. Often the difference lies in the quality of meat but it really boils down to that special beer sauce and that finicky thing called personal opinion. The common ingredient in the sauce is beer and each restaurant will have their own special spices that they add to give it their own unique flavour. As consensus goes, Cafe Santiago seems to be the most popular place to taste this. I would recommend sticking to Cafe Santiago or to go somewhere recommended by a local. Locals will often eat this speciality on average once a week to once a month, or even once a year. It can be pretty heavy going. But all in all, when everyone gets that craving, they just have to have it.